There were no Angels in the outfield for this series. 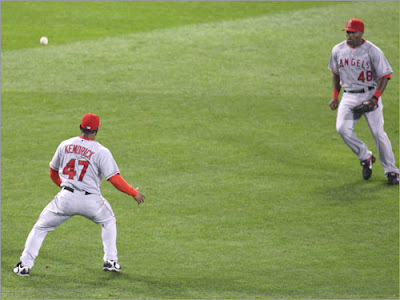 The Red Sox move on to the ALCS on a Jed Lowry single in the bottom of the ninth which scored Jason Bay for the winning run. The walkoff hit capped a series punctuated by poor outfield play by the Angels.